I was not sure about this one as it is a coffee stout and I am not a coffee drinker. 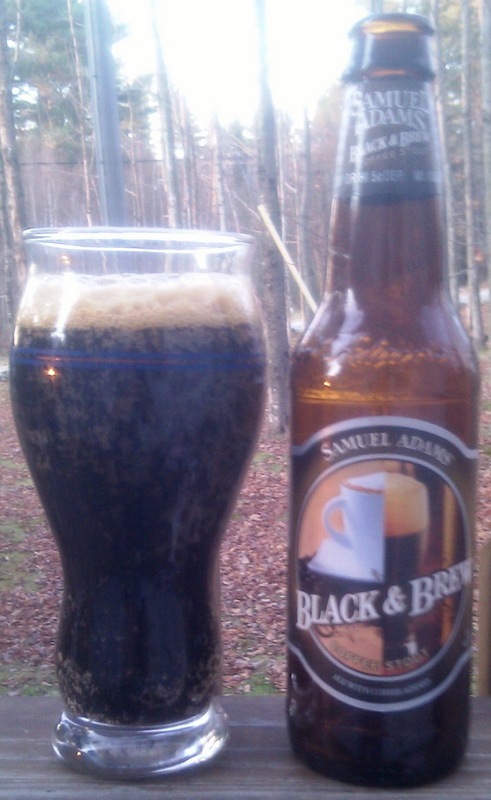 The beer pours almost black with a nice tan head that does last. Aroma is not great as it smells of old coffee and the taste is not all that good. Tasted like I was drinking a stout from a used coffee cup. I was able to finish the beer but did not go back to get the second and may leave it in the fridge for someone else to try at our next get together. Brewers Description: Our Coffee Stout is a dark brew that combines roasted coffee with a rich, full-bodied stout. For the authentic coffee flavor, we use 1.5 pounds of Sumatran coffee beans per barrel, added late in the brewing process to provide the most flavor possible. This brew finishes with underlying roasty notes of chocolate, caramel, and dark fruit from our select blend of malts.